If you are heading to a small country like Malta and you only have 5 short days, read carefully – you can still have a thoroughly exciting holiday! Of course, spending 5 days in some of the famous destinations of the country still won’t scratch the surface. 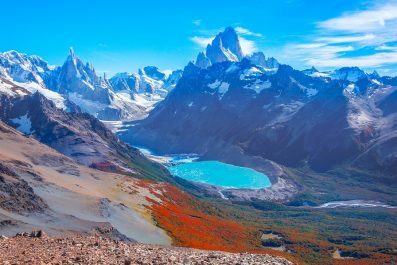 However, by organizing your itinerary in advance (this helps to minimize your travel time and concentrate on the sites you would want to see) you can make the most out of your short vacation. 1.Language – The two official languages of Malta are Maltese and English. English is spoken by the entire population but speaking at least some Maltese phrases or attempting to learn is greatly appreciated by the locals. 2.Money – Malta’s unit of currency is Euro. Exchanging money in Malta is easy and follows the same standard to elsewhere in Europe. Foreign currency can be exchanged at banks, Bureau de Change Kiosks and some hotels, airports and city centers. 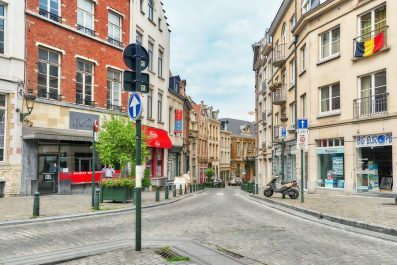 Prior to travelling, you can buy some euros (enough for one day or whatever your preference) and then exchange your money in the banks and bureaux de change to get the best rates. All major credit cards such as Visa and Mastercard are widely accepted. 3.Transportation – Getting around Malta is relatively easy. Malta Public Transport provide a safe, reliable and affordable bus service in Malta and Gozo. You can download a Route Map from https://www.publictransport.com.mt/en/route-map . 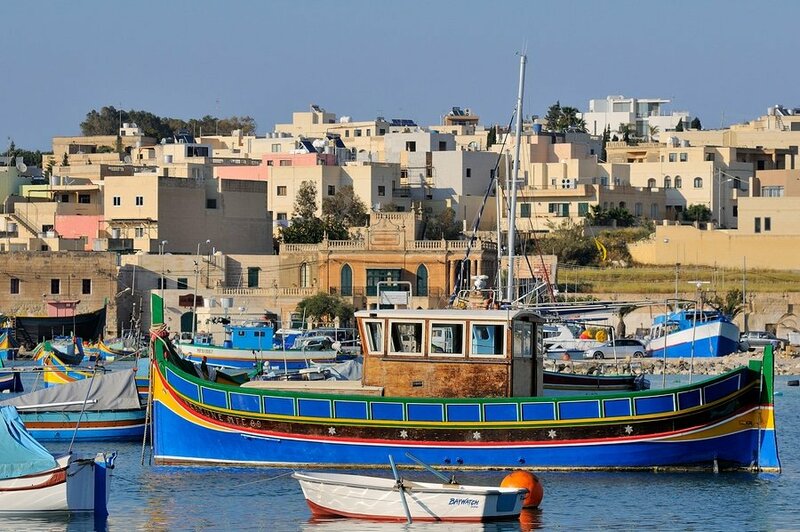 There are also regular ferry service that connects the islands of Malta and Gozo – check most up-tp-date schedule and ticket prices at http://www.gozochannel.com/en/home.htm . Renting a car and driving on your own is not recommended because of Malta’s growing traffic accident rate. 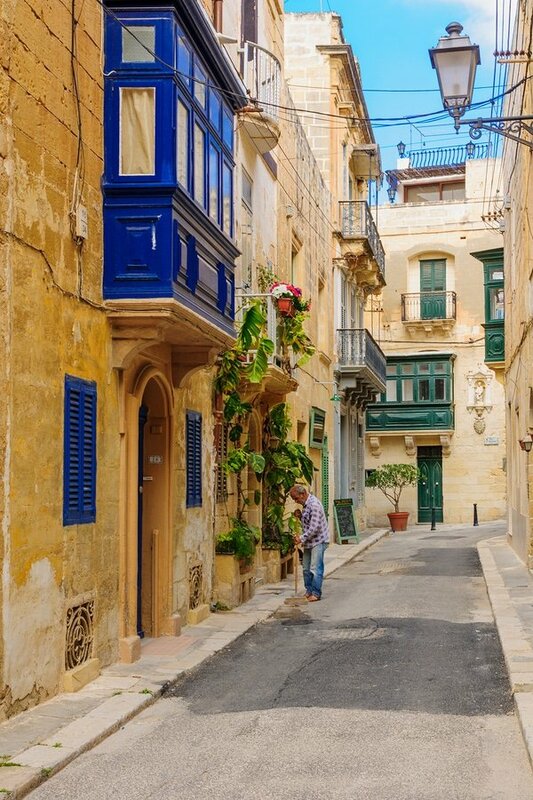 4.Accommodation – There are many types of holiday accommodation in Malta, from luxury hotels to cheaper accommodation like youth hostels and bed and breakfast. There are also plenty of apartment rentals if you prefer the comfort and convenience of having your own place with cooking facilities (worth checking AirBnB). For first time visitors, we would recommend the Bugibba and Qawra, St. Julian’s and Paceville or the Sliema area as these areas are centrally located and close to restaurants and nightlife. 5.Getting there – Malta International Airport (MLA) is the only airport in Malta. The airport is located about 3 miles from Valetta. Taxis are available 24 hours a day from the airport to any destination in Malta (fixed rates are applicable and pre-paid tickets can be purchased from the ticket booth inside the Welcomers’ Hall on Arrivals). 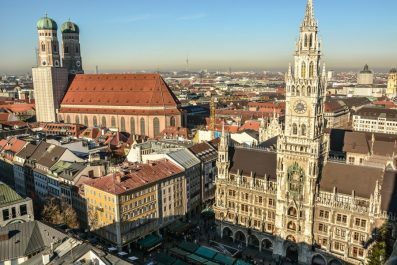 A round-trip airfare from Rome starts at 58 USD; from Amsterdam – 180 USD; from London you can find round-trip tickets starting at 88 USD (if you choose to visit in winter); from Moscow – 250 USD; from Hong Kong – 637 USD. Keep in mind that prices can almost double during the summer months. Take an international flight to Malta International Airport. It is best to get an early morning arrival so you could fight off your jet lag before you go exploring in the afternoon. After check in at your preferred accommodation, minimize your jet lag by spending a lot of time out in the sunlight so your body can adapt to its new surroundings. Dedicate the rest of this day for the UNESCO World Heritage site of Valetta, the fortified capital city of Malta. 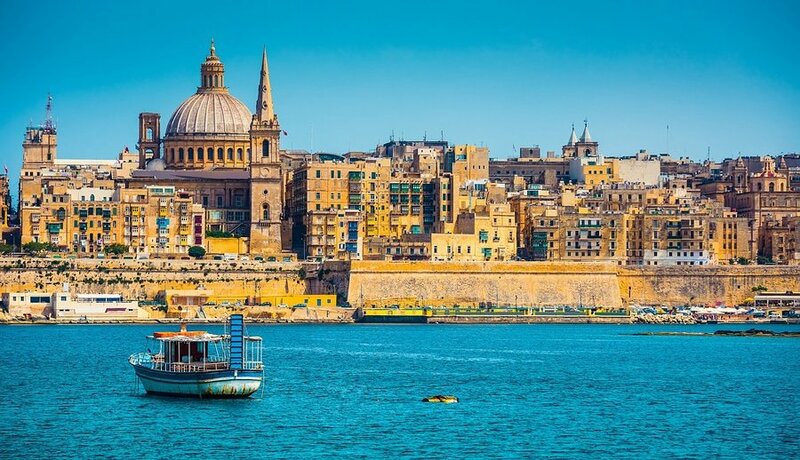 Although Valletta is one of the smallest capital cities in the World, covering only about 0.8 square kilometers, it contains 320 historic monuments, making it one of the most concentrated historic areas in the world. Some of the attractions you can visit are the Cathedral of St John, the churches of Our Lady of Victory, the Auberge de Bavière, the Palace of the Grand Master, the Church of the Shipwreck of St Paul and so much more. Wear a comfortable walking shoes as you will do a lot of walking for today. Unless breakfast is included in the price of your accommodation, start your day at one of Malta’s best breakfast and brunch spots (you can try Piadina Caffe, located at 24, St.Lucia Street, Il-Belt Valletta VLT1186, Malta). A typical breakfast in Malta consist of Maltese bread or Ricotta Pastizzi and fresh percolated sweet black coffee. After breakfast, make your way to Mosta, a town situated in Central Malta (to get to Mosta from Valetta just get on bus number 41, 42 or 48; the trip ia about 30 minutes and tickets are 1,50 EUR or 2 EUR, depending on the season; purchase your tickets directly from the bus driver). 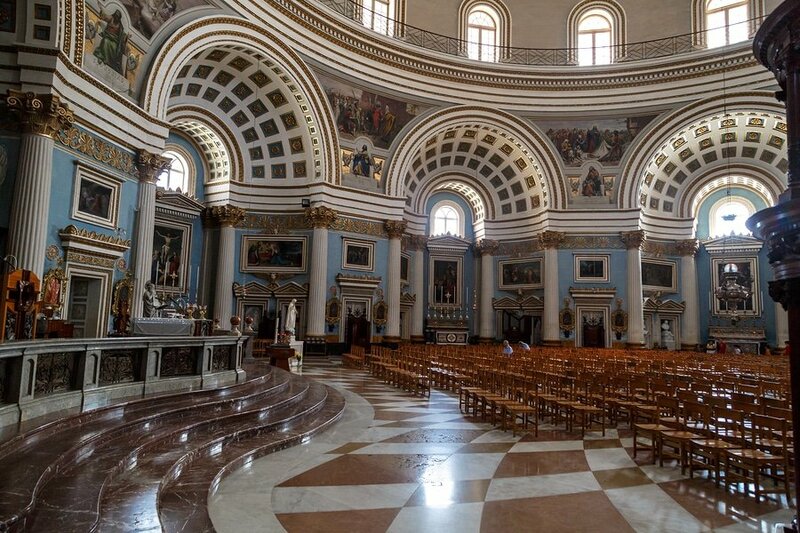 The town is very famous because of its Rotunda Church (Rotunda of St Marija Assunta; Rotunda Square, Mosta, Malta, Mosta, Malta) that has the third largest dome in the World. Other attractions you can find here are Malta Aviation Museum, Cumbo Tower, Speranza Chapel and the ancient Ta’ Bistro Catacombs. From Mosta, board a bus going to Rabat (bus number 186), a town in the Western Region of Malta, just outside Mdina. Explore some of its famous attractions like the Catacombs of St. Paul and St. Agatha, the Roman Villa, St. Paul’s Grotto and Casa Bernard. Then, head to Mdina (bus number 51, 52 ,109 or 186), also known as the Silent City. This medieval town is famous for its Norman and Baroque architecture which can be seen in most homes and palaces. Embark on one of the most interesting day trips out of Malta by heading to Gozo, Malta’s sister island. A ferry line operates between Cirkewwa, Malta and Mgarr, Gozo with ferries departing every 45 minutes during the day. Tickets cost 4.655 EUR (5 USD) one-way. Although part of the Maltese archipelago, the overall vibe here is so much different. You can spend one day in Gozo to enjoy its stunning landscapes, beautiful countryside scenery and way of life. 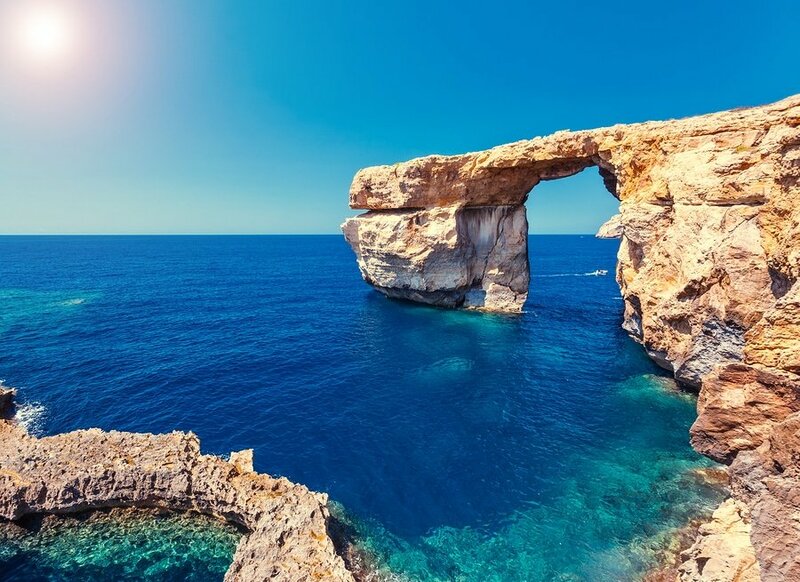 Do not miss Gozo’s biggest attraction, Azure Window. Explore the capital city of Rabat, also known as Victoria. If you still have time, go for an afternoon swim at Ramla Bay. Travel tip: Opt for a sightseeing tour if you have limited time to see Gozo. The Gozo Route departs from Mgarr Harbour and visits the Ggantija Temples & Xaghra Windmill, Calypso’s Cave (photo stop), Marsalforn Bay, Ta’ Pinu Basilica, the Crafts Village, Azure Window (Dwejra), Fontana Cottage and Xlendi Bay. It ends back at Mgarr Harbour and passes by the Victoria Bus Station a number of times.The tour operates daily from 9.30am every hour with the last one leaving at 2.30pm and it costs 15 EUR (17 USD). 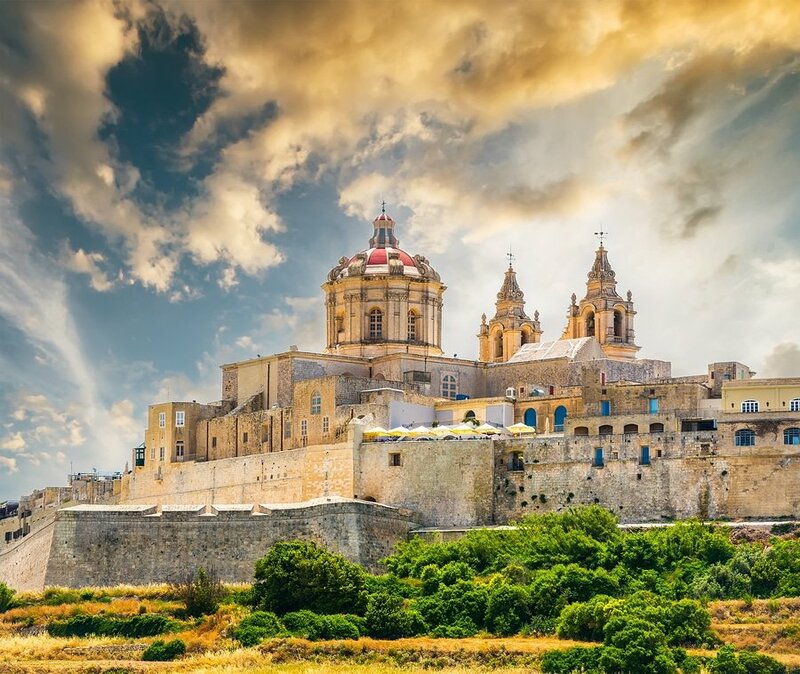 Each tour takes just under three hours without leaving the bus but this would obviously defeat the tour’s hop on, hop off concept and a normal tour can fill a whole day or more to explore Gozo’s culture and heritage. On day 4, spend a relaxing morning in cosmopolitan Sliema, another famous town in Central Malta (from Valetta get on bus number 13, 14, 16 or 21). There are a number of shopping opportunities in this area so you can also buy some souvenirs here. You can also go on a gastronomic adventure as there are several bars and restaurants to choose from in this area. 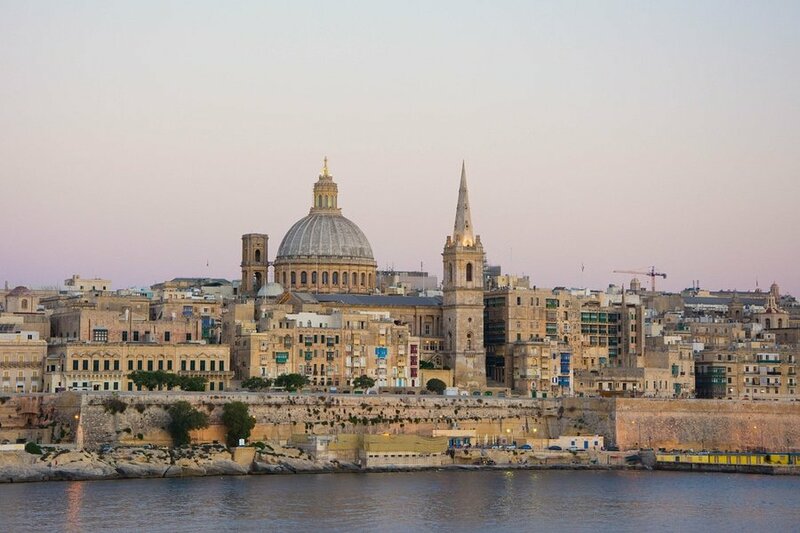 In the afternoon, take in some sights at St. Julian’s, located at the upper part of Sliema. Some of the sights you can see here are Balluta Bay, Spinola Bay and Spinola Palace. Finish the day at Paceville, famous for its thriving nightlife. For your final day in Malta, get a one last whirl through Valetta to take in any museums or other attractions that you might have missed. Or you can start out early and make the most out of this day, you can do a half day trip to Birgu, also known as Città Vittoriosa (bus number 1, 2, 3 or 4). If time permits, you can go shopping before your flight back home. For a wide range and reasonably priced locally made handicrafts, you can visit Ta’ Qali Craft Village. This is the end of our 5-day Suggested Itinerary. Honestly, a 5-day trip is not enough time to explore Malta and it will somehow force you to make some hard choices. But if you are committed to maximize this short stay, you can definitely see a little bit of everything. That said, you can make some changes on this itinerary based on your interests. Happy travel! Have you been to Malta? Do you have any tips or suggestions to share? If so, you can leave your comments below. What’s the must see in Las Vegas (aside from the casinos)?